Ready to upgrade your ukulele and purchase an instrument that’s designed to last decades or maybe even an entire lifetime? If so, you’ll be glad to find that there are plenty of high-quality ukuleles under $500. These are some of the best ukuleles on the market, hands down. While they’re not custom ukes like the ones available for more than $1,000, they do come with high-quality components, excellent tonewoods, and other desirable features. After comparing more than 20 ukuleles under $500, we’ve come up with this list of the 5 best ukulele under $500. The Kala KA-ASAC-T8 ukulele is made with solid acacia wood, which offers a gorgeous reddish brown color that almost glows. The rosewood binding, herringbone purfling, and rosewood bridge and fingerboard lend subtle contrast while contributing to this ukulele’s classic appearance. With eight strings rather than four, this tenor ukulele offers an incredibly rich, full sound that might make others sound weak in comparison. Perfectly set up out of the box. Sound and feel are amazing! One strum and the resonance of the wood traveled into every cell of my being. Since purchasing this uke I’ve spent 6 to 8 hours a day with it in my hands because I love the way it sounds. If you’re ready to expand your horizons and you love the richer sound that a tenor uke provides, you are going to love this one from Kala. The chords are well-extended and very complex, and as you extend your skills, you’ll find that this instrument excels for a variety of musical styles. Rumor has it that Kala will be raising prices soon, putting this instrument above the $500 mark. If you’ve been thinking about picking up an 8-string ukulele, this might be the perfect time to do it! A classic! The Lanikai CKCGC Concert Ukulele offers a curly Koa wood body and top, assuring well-balanced tone and a rich island sound. With gold hardware, die-cast tuners, and a lovely satin finish, this ukulele looks as beautiful as it sounds. Traditional rosewood is used for the fretboard and bridge, assuring clean, crisp notes that ring out. One reviewer had to install a new nut for the 4th string as the original was cut a little too low. I have had many ukes over the years and this one has been the best sounding and playing of them all. I like the concert size much more than the soprano as it is easier to play. The sound has great resonance and each string is pure in tone. The koa wood is highly figured. This ukulele looks good, plays easy, sounds great, and notes correctly. If you’re in the market for a traditional concert ukulele that will last for decades if not an entire lifetime, then you are going to want to shortlist this one. It’s got a lovely Island sound that’s perfect for traditional and contemporary tunes, and it’s sized to accommodate most players. 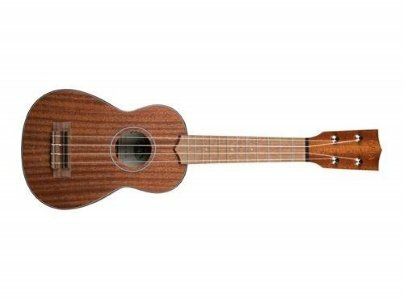 The Kala KA-SMHS soprano ukulele is made with solid mahogany wood for a rich, sweet sound and exceptional tone. Faux tortoise shell binding adds a touch of subtle contrast, and chrome diecast friction tuners make for fast, easy tuning. A traditional rosewood fingerboard and bridge complete this pretty, classic ukulele. If you want a non-China built ukulele plan to shuck out anywhere from 600 to 2000 dollars. 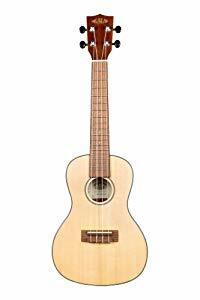 For just over 200 bucks, this is a fine soprano ukulele with excellent tone, solid wood, accurate action. Outstanding for the price. I love this soprano! It is solid mahogany which is why I wanted t and I love the friction tuners. The key to them is keeping the screws in back tightened enough so they don’t slip. The sound quality is great and will get better since mahogany opens up and gets sweeter sounding as it ages. Those who love the traditional sound of a Soprano ukulele will appreciate this one. Its music is pure and sweet, with far more resonance and quality than you’ll find in a similar-looking laminate ukulele. Accurate action, a charming appearance, and solid construction make this lovely little uke a pleasure to play. The Kala KA-SSTU-C concert ukulele features a solid spruce top, along with mahogany back and sides. The neck is mahogany as well, while the bridge and fingerboard are of traditional rosewood. Die-cast chrome tuners with black buttons complement the simple black binding, which adds just a touch of contrast. Aquila super nylgut strings are included, along with a Kala logo travel bag. Big, beautiful sound – it’s thin and light, but sounds like a full size concert uke. I was told that I couldn’t install a strap button, but Kala sent me a letter, saying they install blocks on the travel ukes, complete with pre-drilled holes so the wood won’t split. Found an instrument repair shop to do the job. Great instrument and with customer service like this, it’s another reason to go with this ukulele. If you need a travel uke this is the one for you. It’s better than I hoped, out of the box, tune it up and go! Instrument is well set up and has a lovely sound, much bigger than you’d guess by its size. If you’re looking for a good travel uke with a rich, pleasing sound and a surprising amount of punch, you’re probably going to fall in love with this one. It’s a favorite with backpackers and other travelers as it fits easily into smaller bags. Quality components, good customer service, and overall playability make it an outstanding, portable choice. 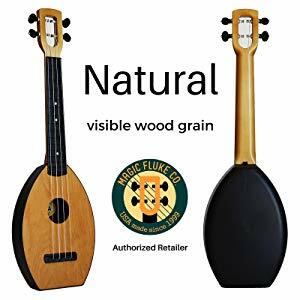 With a birch top for a crisp and lively tone, the FLEA Magic Fluke natural concert ukulele offers a hard maple neck, a precision polycarbonate fingerboard with comfortable non-metal frets, molded back and sides, and a flat bottom so you can set it up just about anywhere. A 30-day limited warranty is included, along with a complimentary gig bag. Every purchase includes a donation to hospitals for music therapy programs. Clear, bright sound with a warm, sweet tone and no buzzing. This is my third Magic Fluke instrument, and it’s a fabulous addition to my collection. Very well-made, an beautiful sounding. I was looking for a ukulele made in USA and I knew I couldn’t justify the cost of a solid handmade Hawaiian uke so I decided on this one. It sounds great, stays in tune well, and is easy to play. I love the flat bottom. Those who aren’t committed to traditional appearances are probably going to like this ukulele for its easy maintenance, its amazing sound, and its go-anywhere durability. These instruments are designed for easy playing and learning, and they’re meant to last. Every FLEA ukulele is fully inspected and set up prior to shipping, greatly reducing the likelihood that you’ll encounter any manufacturing flaws. While it is completely possible to find a decent ukulele for less than $100 and a pretty good one for under $200, serious musicians are likely to prefer instruments higher up on the scale. In case you’re curious about whether these are the best ukuleles on the market, the answer is that they’re definitely among the best that larger manufacturers have to offer, but not nearly as nice as a custom ukulele that comes in closer to $1,000 or even $1,500. Here are a few things to keep in mind when considering ukuleles under $500. Body Style/Size: You can find good examples of every body style in this category. 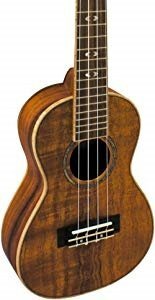 Most of the ukuleles we reviewed here come in different sizes, so consider looking a little deeper if you don’t see the exact size you prefer on our list – usually, additional sizes are listed on each instrument’s product page for easy reference. 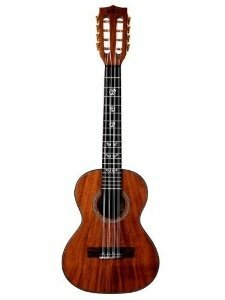 Overall Quality: Those looking for something beyond an entry level ukulele will appreciate the fine woods, beautiful finishes, exceptional construction, unique features, and quality components that go into ukuleles in this category. Most of these have quite a bit of “Wow!” factor compared side by side with cheaper ukes. Brand: There are plenty of great manufacturers out there, but some stop their product lines at lower-cost instruments simply because there’s a good market brimming with beginning players who are looking for ukuleles under $200 or even under $100. This time, we found plenty of nice options and ended up recommending a few standouts, including three ukuleles from Kala – not surprising, as they’re one of today’s best ukulele manufacturers. This having been said, don’t get too hung up on brand so long as the instrument is a good one. There are plenty of great instruments out there including some from smaller luthiers who don’t have a widespread presence. Your Needs as a Player: What do you want in a ukulele? We recommend making your own needs a top priority, especially when choosing a better instrument that’s likely to be with you for many years. We tried to include some unique options in this short list, and it’s likely that one of these will appeal to you. If not, keep looking! You may end up paying a bit more but the perfect uke is somewhere out there.